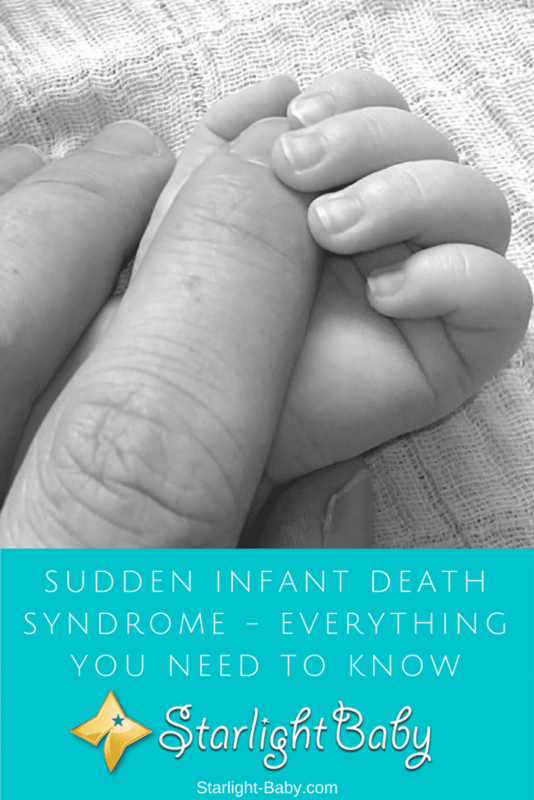 Sudden Infant Death Syndrome (SIDS) is every parent’s worst nightmare. Affecting children under the age of 12 months, it occurs without warning and there is no clear known cause as to why it happens. However, the chances of it happening are extremely small. It’s very rare and while there is no known cause, there are some things you can do to lower your baby’s risk. Here you’ll discover everything you need to know about SIDS, including the best ways to prevent it. 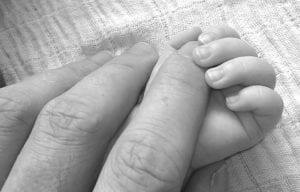 SIDS is the medical term given to the death of an infant when no other cause can be found. It is diagnosed when an infant under the age of 12 months dies in their sleep and is often referred to as a silent killer. It’s so far impossible to predict and doctors still have no idea what really causes it. Babies affected by the condition are typically healthy and happy with no signs of illness. This makes it particularly devastating and difficult for parents to come to terms with when it does occur. So how common is it? Well, it’s estimated to affect 7,000 infants each year in the United States. That is equal to around 1 in every 2000 infants. When you compare this to the number of babies born in a year you’ll realize just how rare the condition is. In 2014, there were 3,988,076 births. Still, it’s incredibly scary to think about! Are Some Infants More At Risk Than Others? The National Institute of Health conducted a study into SIDS, which revealed low levels of serotonin could be to blame. Serotonin is responsible for controlling the breathing and the heart rate while the body is asleep. If a baby has low serotonin levels, it’s going to make it harder for them to wake up if something happens. There’s another theory that the condition could be caused by a heart defect or faulty gene related to the heart rate and breathing. However, as these problems cannot be detected, it’s difficult to prove whether either of these things could be the cause. While medically, not much is known about the cause of SIDS, interestingly it is known that the environment baby sleeps in could pose the biggest risk. For example, babies who sleep on their tummy, share a bed with their siblings or parents and those who do not sleep in a bassinet or crib are most at risk. A recent study has shown that a massive 92.2% of SID cases involved infants who fit into these sleeping environments. So with that in mind, what can be done to prevent the condition? Let’s look at some of the known measures that can help reduce the risk. While the condition is extremely rare, obviously you’re going to want to do everything in your power to stop it happening to your little one. The number of babies dying because of SIDS is reducing year upon year and that is largely thanks to the prevention tips we’re about to share with you. Ensure your little one sleeps on their back – When your baby sleeps on their front, their face is directly against the sleeping area, producing a high risk of suffocation. Even if you put them to sleep on their side, there’s the possibility they could roll over onto their tummy and suffocate. It’s also worth noting if your little one is used to sleeping on their back and then they are suddenly placed onto their tummy on night, it makes the risk of SIDS even higher. Make sure any other caregiver or nanny knows to place your little one on their back at night or during nap times. Choose the right bedding – The right bedding is also important in SIDS prevention. The mattress should be firm and pillows, fluffy blankets comforters and toys should be avoided. One common thing new parents do when they bring their newborn home is try to keep them snug and warm during the night. However, what you might not realize is your baby doesn’t need thick, fluffy blankets or hats to keep them warm. They have a naturally high body temperature and too many “comforts” can actually cause them to overheat, further increasing the risk of SIDS. Avoid exposing them to smoke and alcohol – Did you know that babies who are born to mothers who have smoked throughout their pregnancy are three times more likely to die from SIDS? This is a huge reason to give it up. Even if you didn’t smoke throughout the pregnancy, there’s still a risk if you start again and expose baby to smoke. Similarly, alcohol is also known to increase the risk. If you’re breastfeeding, be sure to avoid doing so after consuming alcohol. Breastfeed for as long as possible – While experts aren’t sure why, research does suggest babies who breastfeed are 50% less likely to suffer from SIDS. It could be down to the antioxidants and nutrients contained within breastmilk, but whatever the reason it is believed to cut the risk significantly. Consider buying a baby movement monitor – There’s a neat device that can clip onto your baby’s diaper that will alert you if your baby stops breathing while they’re sleeping. It’s called the Snuza Hero SE baby movement monitor, and it’s available on Amazon. Several parents have said that it’s succesfully saved their baby’s life, and even though it’s statistically unlikely it will ever be needed, it’s a small price to pay for at least the peace of mind. And of course, truly invaluable if it ever goes off. These are the most important tips to follow if you want to reduce the risks of SIDS. However, if you are concerned, your doctor or pediatrician will be able to give you more comprehensive advice. Overall SIDS is a devastating condition and although it is rare, it is still a major concern for parents. Following the advice above and any information from your doctor will help to minimize the risks and give you more peace of mind. My baby was born healthy. However, the doctor warned us of several things including Sudden Infant Death Syndrome. This article summarizes the important points that I heard from the doctor. One of the reasons for the sudden death of an infant is choking. When the baby sleeps in the prostrate position, there will be hinderance in breathing, this might cause sudden death.